Someone once said that calling Gilles Peterson a DJ was like saying that Usain Bolt goes jogging. Besides performing in the best clubs in London and the world; besides hosting music shows for major radio stations like the BBC and Kiss FM; besides maintaining and constantly expanding his record collection (his former North London home now serves as a warehouse for his immense collection of vinyl records), Peterson has a special knack for spotting artists, launching careers, and seeing and hearing what others don’t see or hear at all. His record labels have produced records for many important artists, such as Brand New Heavies, Jamiroquai, Corduroy, the James Taylor Quartet, and Snowboy with the Acid Jazz label; and Courtney Pine, Young Disciples, MJ Cole ad 4 Hero, all of whom received nominations for the Mercury Prize, with Reprazent winning the award in 1997, with the Talking Loud label. The roster of his third label, Brownswood Recordings, launched in 2006, includes British singer/songwriter Ben Westbeech, 45 piece live act The Heritage Orchestra, Japanese punk jazz band Soil & “Pimp” Sessions, Brooklyn based pianist Elan Mehler; jazz vocalist José James and Zara McFarlane,Mercury-nominated artist Ghostpoet, Kenyan-British group Owiny Sigoma and electric producer Gang Colours; eight volumes of a soulful compilation album series called Brownswood Bubblers and the special Cuban project, Havana Cultura. Gilles tells me about his early contact with Cuban music when he attended London nightclubs to hear the Cuban band Irakere. Despite never going to the Havana-London Jazz Festival, his curiosity was aroused. By then, he was always on the lookout for whatever he considered good music, wherever it came from. He mentions a list of musicians and artists like Van Van, Celia Cruz, Paquito de Rivera, Tito Puente and Mongo Santamaría, and rhythms like salsa and timba, which along with hip hop, electronic music, house, disco, Brazilian music and Latin jazz have all been part of his DJ sessions. “There’s nothing deeper, or more complex, or better, than rumba,” he tells me with passion, and you know that this passion for the music of this island is not a whim or a passing love affair for him—it’s the real deal. Of course, I lead the interview to his involvement with Cuba. The year 2009 saw the beginning of Gilles’ relation with Havana Cultura, a global initiative developed by Havana Club International aimed at launching Cuban artists from all disciplines. On that occasion, Gilles traveled to Cuba to record a CD at Egrem Studios with his hand-picked Havana Cultura Band, led by the exceptional jazz pianist Roberto Fonseca. The resulting double CD album included Cuba’s brightest musical forces ranging from Latin, Afro jazz and fusion to hip-hop, funk, reggaeton and soul and everything in-between. In 2010, Gilles began a European tour accompanied by Fonseca, his band and vocalists Danay Suarez, Ogguere and Obsesión. This was the first of three tours organized with Havana Club. The Gilles Peterson Havana Cultura band has now travelled around Europe and beyond with shows in London, Paris, Amsterdam, Istanbul, Berlin and Madrid. And in the jazz circuit, they have made appearances in Roskilde, Worldwide and the Bordeaux Jazz Festivals. In 2011, Gilles returned to Havana accompanied by DJ Mala (Digital Mystikz) to record a new album with other Cuban talent: Havana Cultura: The Search Continues. But Gilles doesn’t stay in the past. Or in the present. He is always looking ahead into the future. New DJs come into action, which, while respecting tradition and their roots, are part of what Gilles calls “New Wave” and which he is very interested in. In fact, the winners of a competition he organized for DJs around the world are now recording alongside a select group of Cuban artists. The album, which will have 20 songs featuring a fusion of electronic music with jazz, rumba, hip-hop and other rhythms, will be released in September-October this year. 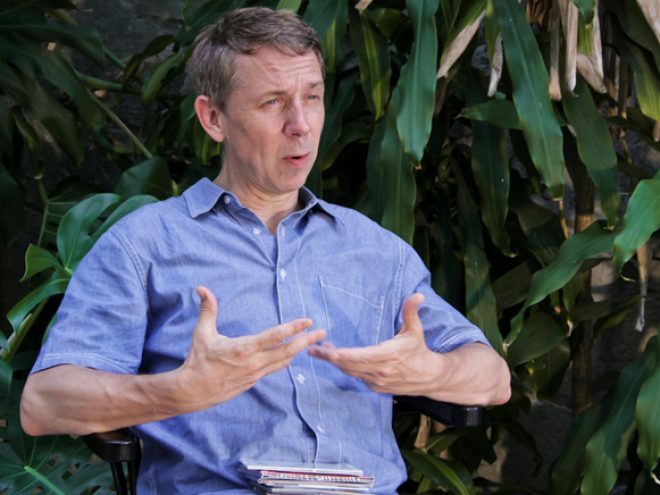 Gilles Peterson (born 28 September, 1964, France) is a British-based DJ, record collector and record label owner residing in London. Via his labels Acid Jazz, Talkin’ Loud, and latterly Brownswood Recordings, he has been associated with the careers of well-known artists of the 1990s. Widely acclaimed as a musical taste-maker, he spreads his influence on music listeners around the world. His Worldwide radio show is re-broadcast from eight European countries. Parallel to this, his DJing gigs around the world also have cemented a worldwide following.